Up to 4K@30fps UHD resolution. RTSP, RTMP, HTTP, UDP (unicast / multicast), FLV, ONVIF, HLS and RTP output. Very stable operation on multicast distribution on local area networks. Suitable for video-over-ip application through internet. 4 IP output streams at the same time with different resolutions, e.g. 3 for internet, one for LAN. All BLANKOM and IRENIS encoders offer perfect image quality and stable system operation at an affordable price. State of the art HEVC (H265) encoding, enabling to use 30% less bitrate against H264 at the same content quality. Up to 1080p@60fps HD resolution. Dual IP output streams at the same time with different parameters, e.g. one for internet, one for LAN. All BLANKOM & IRENIS encoders offer perfect image quality and stable system operation at an affordable price. Dual IP output streams at the same time with different resolutions, e.g. one for internet, one for LAN. 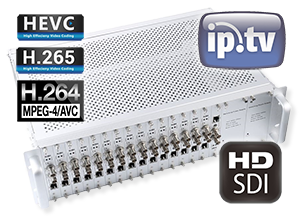 HD-SDI input for broadcast professionals. Up to 1080p@30 HD resolution. Suitable for video-over-ip application through internet, for Ka-band internet over satellite contribution. HDMI and CVBS (Audio/Video) inputs. Both inputs can be used at the same time and stream different contents. 2 IP output streams at the same time from the HDMI input with different resolutions, e.g. one for internet, one for LAN. Another stream from the analog audio/video input, with a free selectible resolution and bitrate. Up to 1080p/60 HD resolution. 4 channels with dual IP output streams each, with different resolutions, e.g. one for internet, one for LAN. IRENIS HSD-340 broadcast-grade professional HDMI to 3G/HD/SD-SDI Converter. Up to 1080p@60fps resolution. 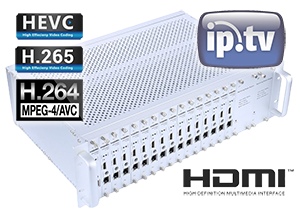 For high performance video, post-production and broadcast applications. Enhanced image processing, outstanding audio quality. 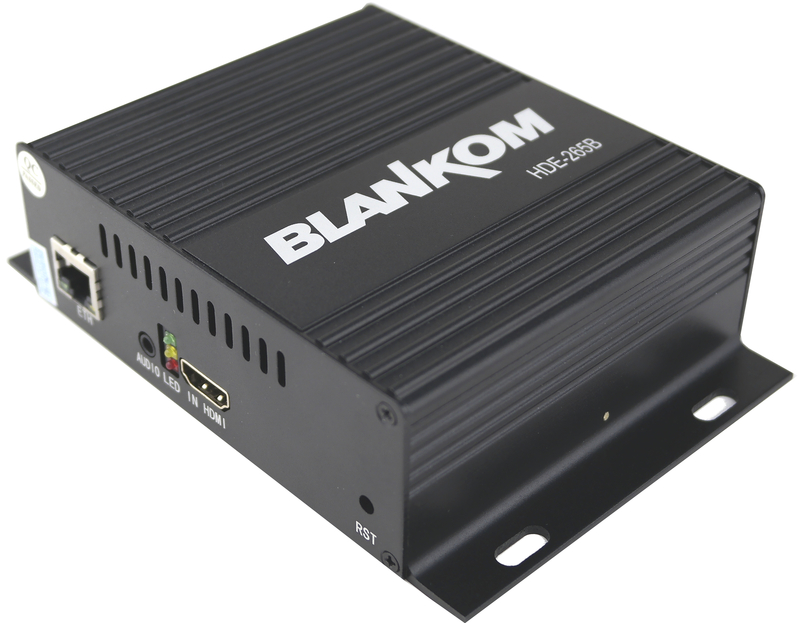 Compatible to all IRENIS STBs & Streamers, BLANKOM IRDs & Encoders. H.264 Encoder, IP Streamer, Transport stream player, Transport stream recorder all together. Distribution of satellite receiver, CCTV camera, DVD / Bluray player, recorded TV/video content through IP network (LAN, WAN, Internet). HD and SD video encoding (incl. 1080p). 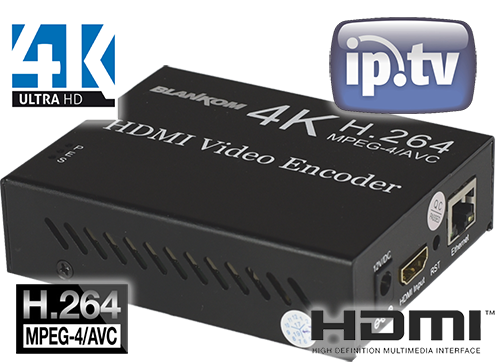 HDMI / YPbPr / S-Video / AV input for encoding. Recording of *.ts files into attached USB memory device. Playback of *.ts files from external USB devices. Watch and control your live and recorded TV content anywhere, anytime, also with Android and Apple iOS mobile devices.